Hempel Broads Antifouling is a self-polishing antifoul that provides good protection and performance all season. It is recommended that the antifoul is used in cold to mild waters. Read more..
A self-polishing antifoul that provides good protection and performance all season. Ideal for use in cold to mild waters. 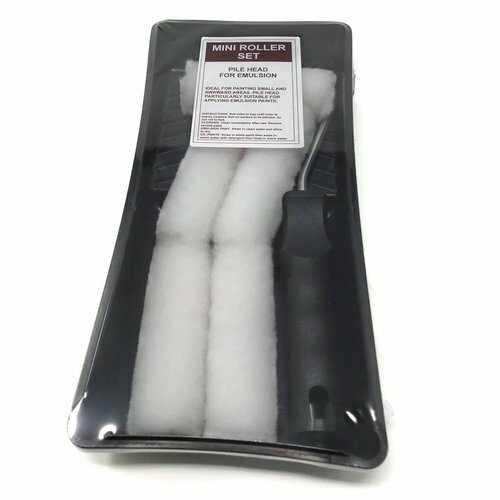 You can apply the antifoul with a brush, paint roller or paint pad. The antifoul is recommended on glass fibre, wood, plywood and steel boats. Do not use on aluminium or other light-alloy metals as direct contact may cause corrosion. Suitable for cruising speeds. Final colour will develop one week after immersion in water. How can Hempel Broads antifoul be applied? It can be applied with a brush, paint roller and paint pad. Four hours at 20C, eight hours at 10C. How long does Hempel Broads antifoul take to become touch dry? Four hours at 20C, eight hours at 10C. Drying times double at a drop of 10C and halve at a rise of 10C. What is Hempel Broads antifoul coverage? Approximately 12.5 metres square per litre. At what temperature can Hempel Broads antifoul be applied? It is recommended that the antifoul is applied with the temperature at least 5C. Do not apply in direct sunlight. A minimum of 24 hours and a maximum of two weeks. What speed of boat is Hempel Broads antifoul recommended for? Boats that do not exceed 15 knots. If the vessel regularly exceeds 20 knots, 3 coats are recommended. Final colour will develop one week after immersion in water. Hempel Classic Antifouling is perfect for boats operating in..